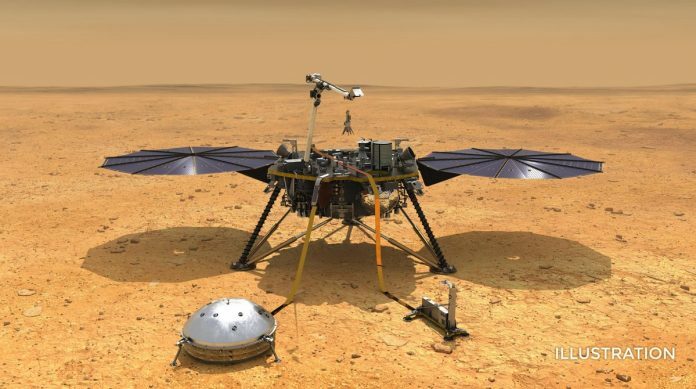 NASA’s highly anticipated InSight mission lander touched down safely on the red planet as its two companion cube sats flew by, beaming back pictures. The lander joins another active rover on the surface, Curiosity, and six other orbiters. The mission’s objective is to study seismology on Mars as well as heat transfer under the surface. Read more about the mission on ThePrint. Earlier this month, a Twitter user noticed a signal on an earthquake monitoring system which everyone around the world seemed to have missed. A group of seismic waves off Africa started rolling and were detected as far away as China and Hawaii, but no one knows what caused them. Furthermore, earthquakes typically have waves across multiple frequencies, but this was a single type of repetitive wave only. A detailed Nat Geo story is here. Chinese scientist He Jiankui claims he created the world’s first genetically edited babies. Through IVF, he was able to remove the gene that is responsible for HIV infection that the twin babies’ father suffers from. However, his entire work was done in private and nearly everyone from his university to international scientists have condemned it for violating ethics of tampering with human DNA. More details in our report here. A scientist at the Chinese Academy of Sciences has discovered that jumping spiders secrete ‘milk’ to feed their young for at least three weeks. He first noticed that it was unusual for a spider species to care for its young. In addition, he realised that for three weeks, the baby spiders and their mother would not venture out of their nests, but the babies still grew. Upon attempting to find out what they ate, he discovered that the mother secreted protein-rich milk. The Atlantic has it all. Researchers studying underwater algae on a coral reef realised that during photosynthesis, where sunlight and carbon dioxide are converted to energy and oxygen, the algae release tiny bubbles which detaches with a popping sound. They suggest that like a person’s heartbeat, monitoring these sounds produced by photosynthesis could help determine the health of the algae and the coral reefs. More details on Hakai Magazine.